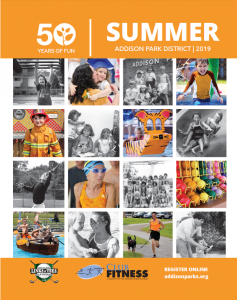 Think about the Addison Park District for your next Special Occasion! Our facilities are great for graduation parties, baby or bridal showers, retirement parties, family celebrations, corporate meetings or even small wedding receptions. Community Recreation Center and Centennial Recreation Center/Club Fitness are attractive, clean and spacious venues that are conveniently located and reasonably priced. Take the stress out of hosting your next big event and allow us to assist with your party – call Addison Park District at (630) 233-7275 or email rentals@addisonparks.org today! $100.00 security deposit is required for each gym or room rental. Submitted applications take approximately 2 weeks to process. Full payment is due 1 week prior to rental date. Alcohol permit fee is $220. Four hours maximum for consuming alcohol; only beer, wine, and champagne are allowed. Rentals with an alcohol permit will require 2 building supervisors.